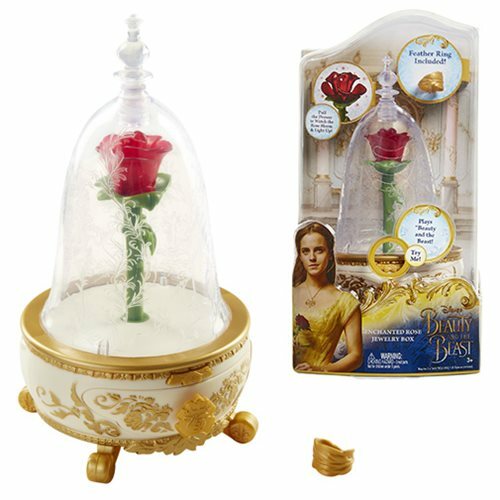 Relive the tale as old as time with the Beauty and the Beast Live Action Enchanted Rose Jewelry Box. This charming jewelry box features the enchanted rose from the hit live action Disney movie Beauty and the Beast. Requires 3x "AAA" batteries, included. Ages 3 and up.